In this fast-paced world, it’s hard to find the time to prepare healthy meals. Too often, we find ourselves reaching for that ramen noodle packet or stopping at a fast food chain on the way home that we swear to ourselves is healthier than the other options—it’s a sandwich, not a burger, so it’s ok right?! Weekly food prep can seem like a good option at first, but it’s not always easy to find the best meal prep ideas. Once you start working in health and diet limitations, it quickly becomes a chore. But we’ve got the answer. Our prepared healthy meals can fit any diet specification, taste amazing, and are priced competitively. Allow yourself to take that extra time on Sunday to read a book or watch that new Netflix series instead of cooking for the week ahead while having peace of mind that your meals will be healthy and fresh to help you stay on track to losing that extra pound you’ve been trying to shed. This plan is geared towards a lower calorie intake – 1200 to 1500 a day. It is designed to maintain or help lose weight depending on current eating habits. It enables you to eat clean and whole foods, while not depriving yourself from delicious foods either! We’ll work together with you to get to or maintain your health goals! Our menu changes weekly, though there are always meat dishes, pescetarian dishes, vegetarian dishes and even vegan! Meals are made with low-glycemic carbs to speed up digestion, and usually gluten free also! This plan is geared towards a higher calorie intake – 1500 to 2000 a day. It is designed to maintain or gain weight depending on current eating habits. It enables you to eat clean and whole foods, while not depriving yourself from delicious foods either! We’ll work together with you to get to or maintain your health goals! Note that these prices are on a weekly basis. Lower prices are offered for 4 week subscriptions. We offer the option to add 5 snacks for $20 to any meal plan in order to make it a combo as we also promote healthy snacking! You can set a drop off location at U.N.I. Training PSC or PDA for a minimal $2 fee, or opt for delivery to your door! Delivery entails a minimal fee of $5 and ensures your meals being delivered on Sundays mornings before noon – delivery times are sent out Friday nights. 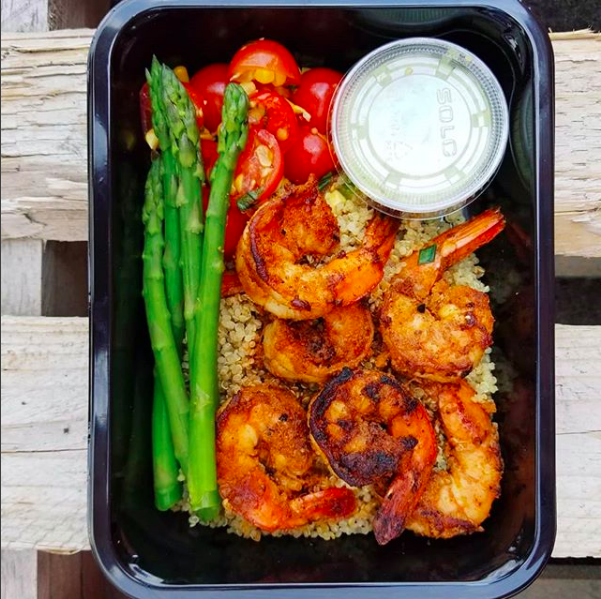 Though our meal prep menus change weekly, allowing for more variety to our clients, we post the new menus every Monday, giving you 5 days to place your orders for the following delivery. We ask that all orders be submitted, edited or cancelled by 11:59pm Thursday nights. 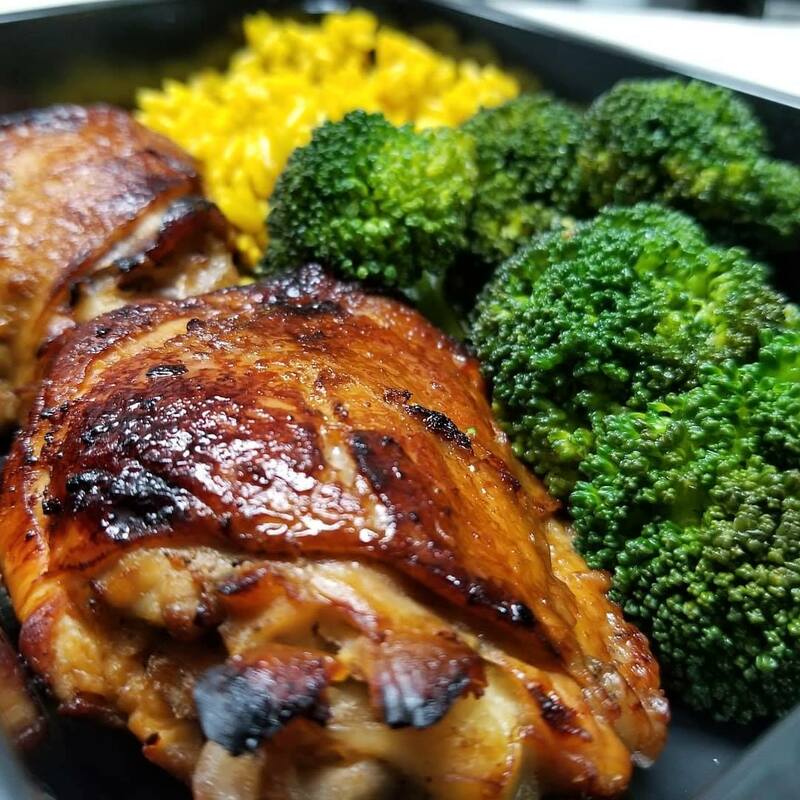 We offer gourmet meal prep that is delicious and healthy, with the nutrition breakdown of every meal, and formulated for an active lifestyle, on a budget. Nutritional information for each meal is included with all meals in order to help your track the foods you are eating. We’ll work together with you to get to or maintain your health goals! No matter what choice you make, we can work around dietary restrictions. Most of our meals are gluten-free by choice of grains. If you have a gluten intolerance, we can accommodate you easily as all carbs used are low-glycemic, in order speed up the digestion, leaving you feeling full of energy! Our meal prep ideas are nutritious and delicious. You’ll never feel like you’re missing out on anything! Helping the animals and the planet? We respect that. When we do your weekly food prep, will ensure vegetarian options for every meal listed on the menu. We understand all diet varieties. We love to accommodate and will always respect your choices, by supplying you with delicious prepared healthy meals. You’ll Never Receive a Frozen Meal! Meal planning isn’t a luxury, it’s a valuable gift to yourself that will give you the extra time, and mental space to do better in the rest of your life. Are you sick of counting every calorie? Tired of hunting for hidden gluten, or seeing that dairy appears in absolutely everything? We have a passion for food and are more than happy to do the legwork for you. Guaranteed, you’ll love the unique meals we come up with, and will feel your food stress lift almost immediately.